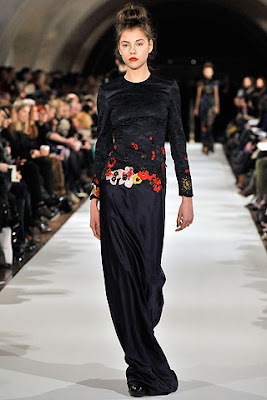 Erdem's Fall collection to me is the more grown up, refined version of Spring 2009. His signature floral prints are back, this time on a darker base of blue and black. I love the elegant maxi dresses this season, which mostly came with a short sleeve. They'd be perfect to wear under a cropped tux jacket or blazer for a beautiful evening outfit. 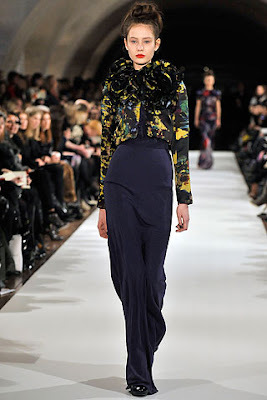 Erdem also featured a full-sleeved maxi dress and a skirt with a cropped floral jacket, which if a little looser would have been ideal for hijab. What do you think of this collection?